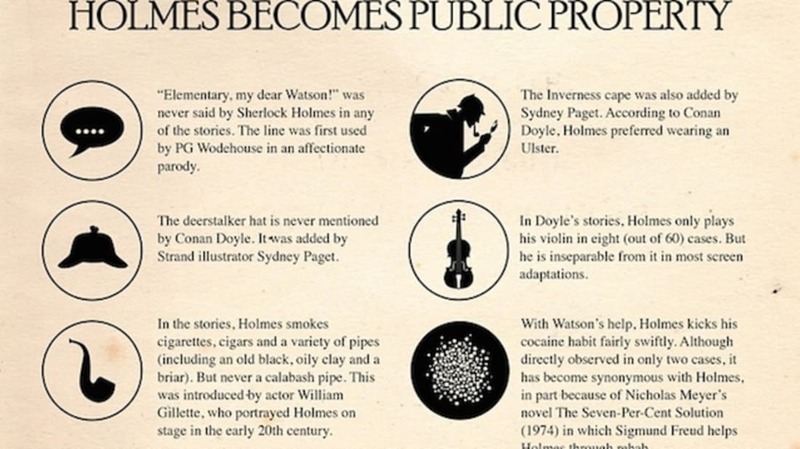 Sir Arthur Conan Doyle's 60 stories about Sherlock Holmes introduced a series of tropes that, over the decades, have become detective story mainstays. Consistencies in Doyle's style eventually became crime-writing clichés. In these images and infographics for The Guardian, designers Adam Frost and Jim Kynvin take a closer look at his tales, highlighting those trends in character, crime, and word choice. Of course Sherlock shows up in all of them. What's surprising is that he solves the case stag on two occasions. Someone needs to teach the women of 19th century London better social skills. Reminder: the settings of detective stories are scary places. Looks like someone could have used a thesaurus. For more pets who helped solve murders click here. Consider these titles prompts for your next fiction writing exercise.